← Your tax money pays for this! December 15 marks the day that the first ten Amendments were added to the Constitution of the United States of America. 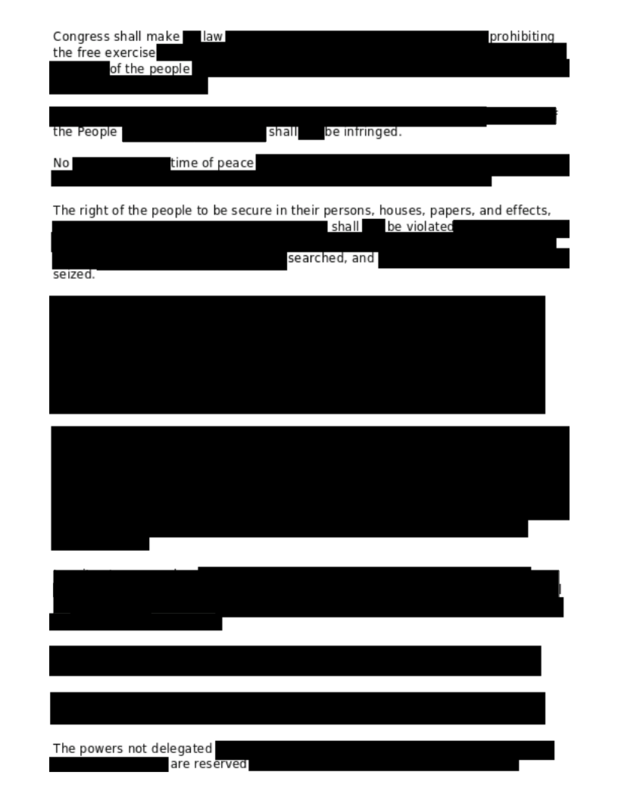 However, since 1791, Congress along with the Judicial and Executive Branches have usurped a vast amount of power and left us with the following as a redacted “Bill of Rights”.